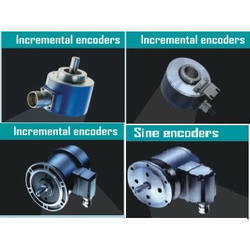 We are a leading Manufacturer of encoders applications, incremental encoders and absolute encoders from Chennai, India. Speed and acceleration Control, Nearly no domain in mechanical plant engineering where drive technology does not take over important control functions. Thanks to high resolutions and short data cycles, Baumer encoders guarantee reliable realtime measured values. Times have changed. Obsolete complicated cabling connecting control cabinets wtih encoders is nowadays often replaced by eldbus systems. The wide temperature range and especially high protection standards provided by Baumer encoders are well-proven in mobile use. Immunity aganist shocks and vibrations goes without saying. Agricultural machinery, tractors and ambulance vehicles. In many domains of automotive, from car body lacquering to nal assembly, Baumer encoders take over important tasks-for example in transport chains in the lacquering process as well as positioning of lifting tables at assembly lines. Non-contact sensing systems are easy to mount and most often satisfy requirements or precision. They can be utilized without problems also in a dusty and humid environment. For optimal alignment of wind power plants the wind direction, absolute encoders reliably provide the actual positions even under roughest conditions. Also here, for many years manufactures in drive technology have been lying on Baumer encoders. 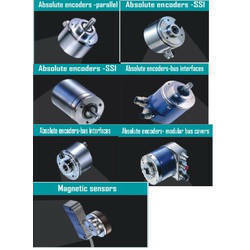 Baumer encoders are utilized in numerous domains. Very robust and up to strong impacts, they provide an excellent axial runout and reliable operation even under extreme temperatures and ambient conditions. Reliability under extreme conditions-like embarking and disembarking container ships- thats the point. No matter if the focus is on rapidness or robustness-like it many other applications Baumer encoders are the suitable solutions. 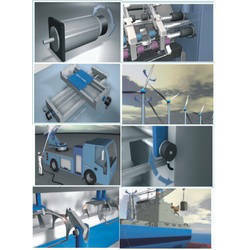 Looking for Motion Control Products ?